Everyone loves a cuddly puppy or sweet little kitten! Spend the afternoon with Stephanie learning how to correctly light and pose pets and their people. 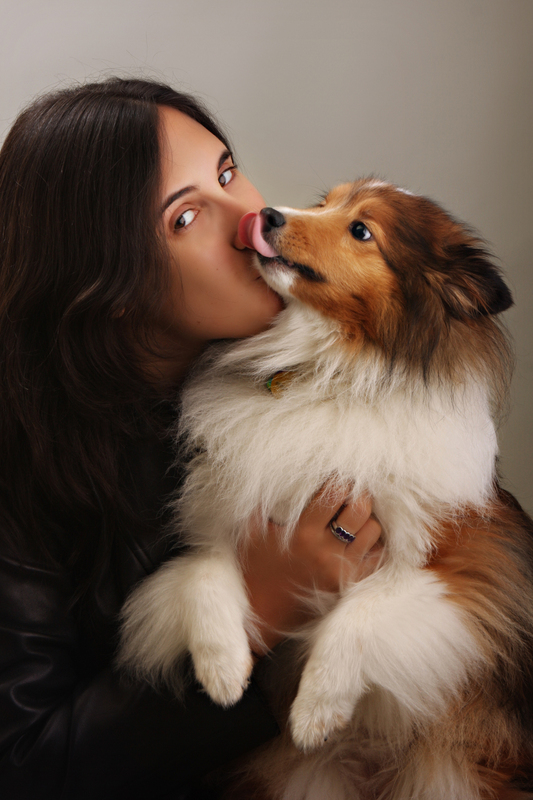 Learn how to bond with your subjects, when “treat- tempting” is not always a good idea, and the fail-safe 15 pet poses. Extended and full-day classes will work with exotic pets in addition to dogs & cats. Reservations required. With over ten years of experience in the printing and graphic design industry, Stephanie is an accomplished professional graphic designer as well as photographer. Under her instruction, you will learn how to identify printing problems before they happen, how to correctly set up your marketing pieces, and make your products print perfectly every time. Learn how to correctly consult with, light, and pose portrait clients for a profitable sale. We will discuss life-cycle photography, including babies, children, couples, pets, family, and maternity. This is a great overview class for anyone starting out in professional portrait photography! Taught with Liz Vance of Oh Baby Photography of Arlington, VA. Please email the studio for speaking dates, or to have Stephanie Millner, M.Photog.Cr., CPP speak at your association. Organizations & Affiliates: Looking for the course descriptions?